As a new year starts, we have taken upon ourselves to get closer to our customers and connect with them in more meaningful ways. Over the years we have been collecting and cultivating ideas from you and rest of our community to build better new products and improve the existing products. We are proud to announce that ServiceRocket Ideas Portal is going public starting this year. Not only you can easily create and share your ideas about any of our products, you can also browse our Ideas database, comment, upvote and participate on what should be the future of our products. This helps us create a direct bridge between you and our product team. Building a stronger community and empowering you with the right tools is in one of our main areas of focus. Visit our Ideas Portal and be part of the discussion that will help us decide the direction of our (and your) apps. Why visiting our Ideas portal? Come up with broad or specific ideas about a product and everyone can contribute discussing around them. It’s encouraged for all users to comment, upvote, participate and continue the conversation by adding their own experience and/or thoughts. Understanding your needs helps us pave the path for future developments and create sensible roadmaps. Every comment and vote counts, even if an idea is not selected for production, we are always reviewing everyone’s input to better understand user’s needs. Managing products can be a tough challenge, finding the balance between satisfying the business needs, your needs and development team initiatives is always hard. Having a place to gather your ideas helps us to work on new initiatives that are relevant to you! From the pool of ideas we can also choose the ones that align with our business goals, making it a win-win for everyone. How our Ideas portal works? Got an idea? Browse existing ones first. Check if any existing ideas match yours. Filter existing ideas by status or category. Find out about which ones are already planned, in development or won’t be executed and why. This will help you go in the right direction with yours. Didn’t find your idea? Create a brand new one. Go to the top left corner and click on “Add a new idea”. Select the product you want to write about and try to answer the following questions: Why is this useful? Who will benefit from it? 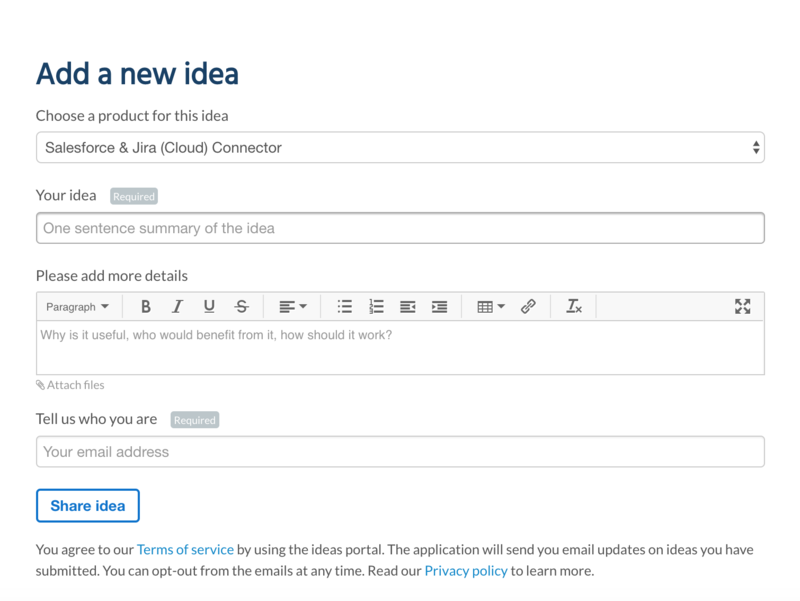 Attach any files and simply click on “Share idea”. We’ll update the status of your idea as soon as possible. Collaboration is key, anything you can add to existing ideas to complement them is as valuable as creating a new one. The portal is organized in 3 different tabs: Recent, Trending, and Popular ideas. 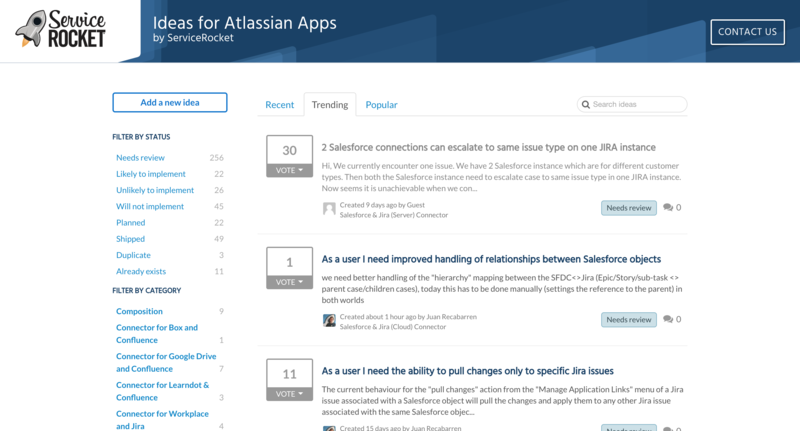 Explore each tab, vote and comment on existing ideas. Our fresh new look, where we are and where we're going.